Climate change is often referred to the change that occurs in statistical properties of the weather pattern. This change will last for an extended period of time, maybe even millions of years. The concerns over climate change have been widely discussed recently and have led to the understanding that several human activities are also the reason behind this. Collectively known as Global warming, many climate scientists have stressed that it is one of the main reasons behind climate change. Scientists all over the world are keenly trying to understand the past and predict the future climate, underlining the fact that climate change is something that should not be ignored. According to NASA’s official website, there are vital signs on the planet implying that climate change is real - the rise in sea level, decreased snow cover, glacial retreat and many more. At Tetley, we show immense pride and utmost responsibility towards sustaining the ecosystem. We have integrated climate change into our business strategy. Greater operational efficiencies, cost savings, and an incredibly potent risk management process are some of the perks. Moreover, this strategy opens doors for enhanced sustainability credentials and customer relations, thereby uplifting our reputation amongst the stakeholders and potential employees. Tetley has made significant efforts to reduce carbon emission over the years and the results have been extremely fruitful. By providing comprehensive information about the measurement and management of our carbon footprint, climate change strategy along with risk management processes and results, Tata Global Beverages (TGB) has featured on the Climate Disclosure Leadership Index (CDLI). We are also monitoring our carbon footprint (the main factor behind global warming) in over 60 different sites along Asia, Africa, Europe, North America, and Australia, thereby managing to reduce the intensity of carbon footprint over the years. By devising a climate strategy that focuses on key factors like promoting sustainable agricultural practices that adapt to climate change, a sustainable forestry for climate change mitigation, and renewable energy along with energy efficiency, we have managed to stay ahead of time. As one of the forerunners in promoting a sustainable ecosystem, TGB is also listed on the S&P BSE Carbonex in India. A joint venture between BSE Ltd. and S&P Dow Jones Indices, this index looks into the strategies, disclosures, performance, and action in areas of carbon emission, thus creating a comprehensive benchmark that identifies a company’s commitment towards mitigation risks that arises from climate change. Based on the climate change project carried out by Tata Global Beverages along with Ethical Tea Partnership, the Tea Research Association (TRA) was able to come up with some predictions on the climatic changes that will take place in the tea growing regions of India for the next 50 years. 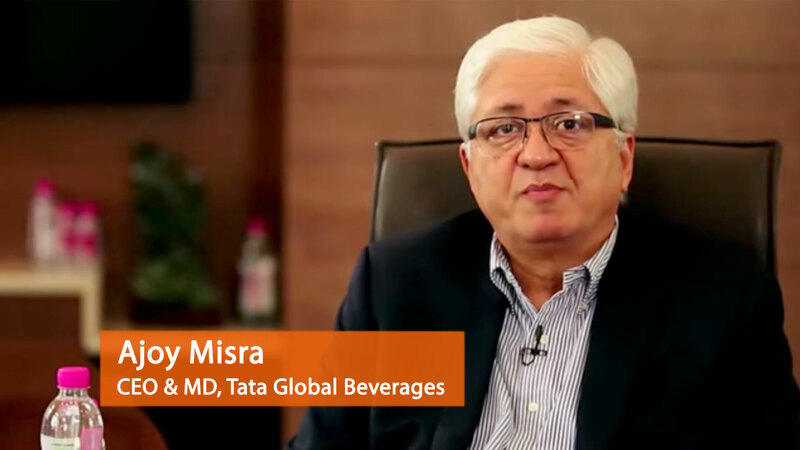 The CEO and Managing Director of TGB, Mr. Ajoy Misra is optimistic that this report will give insights into the climate change in India and hopes that it can be used in tackling its negative impact on the Indian tea industry. On top of this, he expects this report to be an integral aspect in uniting the national and international stakeholders, to address the challenges faced by the tea growers across India due to climate change. This report gives a clear indication that the South bank region, parts of Upper Assam, and Cachar are the most suitable regions for a tea plantation, whereas the north bank region is comparatively less suitable. But after analyzing the predicted probability distribution of tea, it was concluded that in around 35 years from now, the suitability of these regions would reduce drastically. The best alternative for this is shifting these tea plantations to comparatively higher altitude areas like Karbi Anglong, Dima-Hasao and Tinsukia districts. But shifting these plantations to a higher altitude comes with a lot of challenges and complications. • Higher altitude areas are susceptible towards an increase in precipitation during the monsoon season, which might increase the chances of flooding or waterlogging. • During the first quarter of the year, when there is a huge reduction in precipitation, the quality of the first flush and second flush crops might be affected. • The complications or challenges listed above can be categorized as abiotic stresses, and there is a very high chance that they might trigger biotic stresses, leading to an increase or change in the pest incidence.